There is no shortage of useful charities and causes to help. Whether you give time or money, donating improves life for everyone, and the process can also be a lot of fun. Many philanthropists like Ms. Lois Pope give money to a variety of worthy causes. Among other things, she has made sizeable donations to help out underserved children and fund medical research. Other philanthropists aid victims of natural disasters, raise awareness of social issues and help out causes close to their hearts. You may not have the resources to do as much yourself, but that doesn’t mean you can’t make a big difference. One of the best ways to give money is to attend benefit concerts. There are concerts held around the world that raise money and awareness. Instead of the money going to the artists who participate in the concert, the money from ticket sales goes directly to the cause at hand. It seems incredible that attending a benefit concert could make a significant difference in resolving world problems, but the numbers quickly add up. The first and most famous benefit concert was the Concert for Bangladesh, held in Madison Square Garden in 1971. Ticket sales raised $250,000, a healthy chunk of change over 40 years ago. By 1985, the money raised from the concert, movie, and album was estimated to be around $12 million. The Concert for Bangladesh inspired other philanthropists to organize benefit music festivals. Live Aid, held in 1985, was billed as the “global jukebox” and raised over $200 million to aid famine victims in Ethiopia. That same year, the first Farm Aid concert was held to support family farms in America. It turned into an annual event and has raised more than $32 million. The money has been used to keep farms running and educate farmers on the best and most profitable farming techniques. In all, the effects have completely transformed so many lives, and it was all because so many people made one important step. More recently, the 2010 Hope for Haiti Now concert generated about $61 million to rebuild Haiti after the country was decimated by an earthquake. 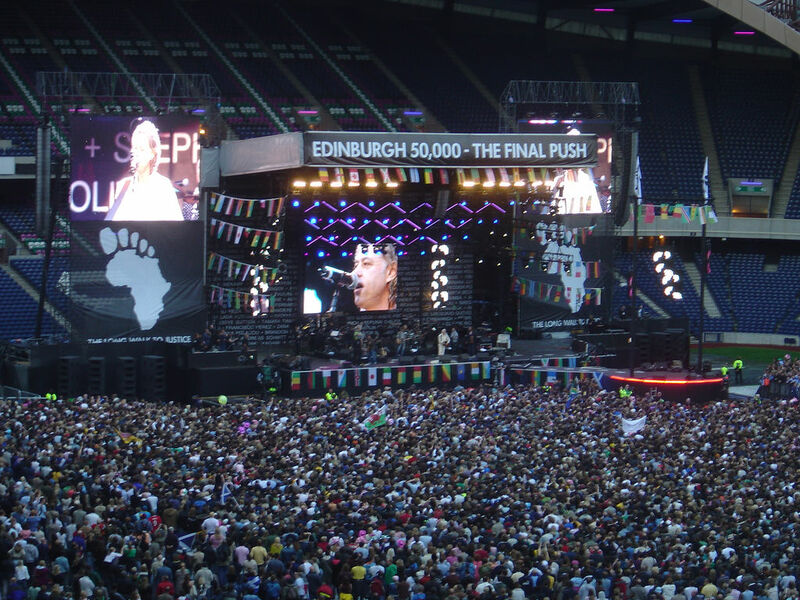 And, of course, the Live 8 concert in 2005 sought to raise consciousness about poverty against the backdrop of the G8 Summit, and held concerts in Japan, London, Philadelphia, Berlin, Rome, Paris, Barrie, and Edinburgh. Individual performers also hold benefit concerts. In 2013 Jay-Z hosted a concert to raise money to help low-income students pay for college expenses. Mary J. Blige held a 2013 concert to support the fight against AIDS and HIV. Will.i.am generated $5 million in donations at his 2013 concert to aid disadvantaged students across America. 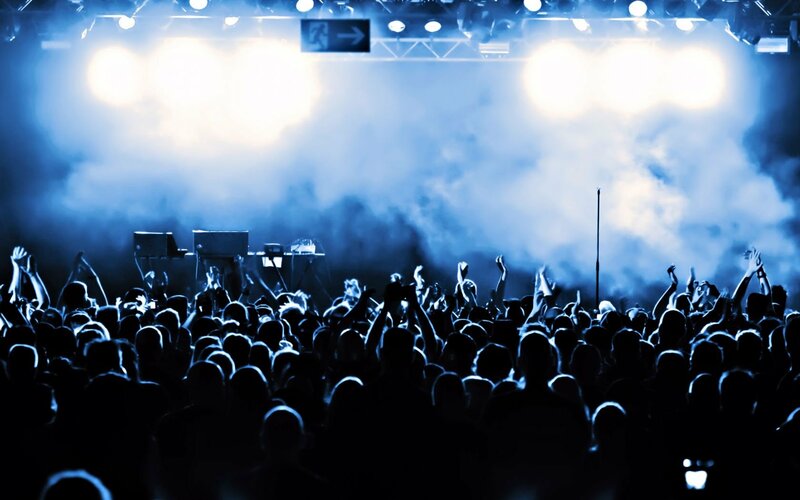 If you enjoy live music, spend your money wisely the next time you choose a concert. Concert tickets are generally quite expensive but when the money is going to a cause close to your heart, the money’s that much easier to spend. At the same time, you get to see music you love.